BAT - BLOG : BATMAN TOYS and COLLECTIBLES: THE ULTIMATE 1966 BATMOBILE and MONKEEMOBILE DRAG RACE - This Sunday in Raceway, NJ! 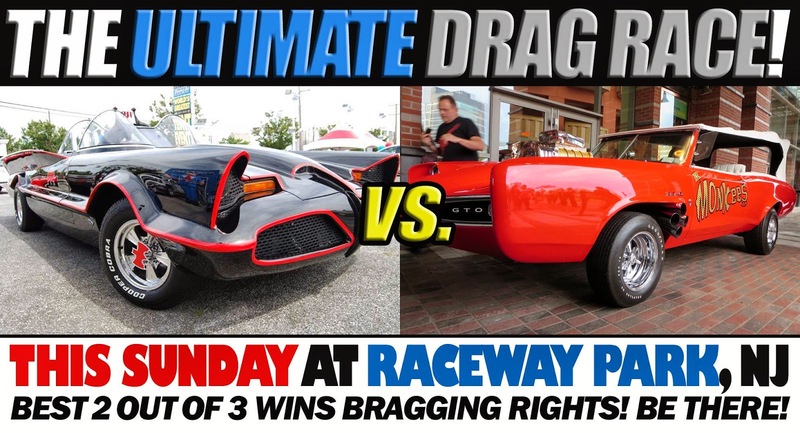 THE ULTIMATE 1966 BATMOBILE and MONKEEMOBILE DRAG RACE - This Sunday in Raceway, NJ! 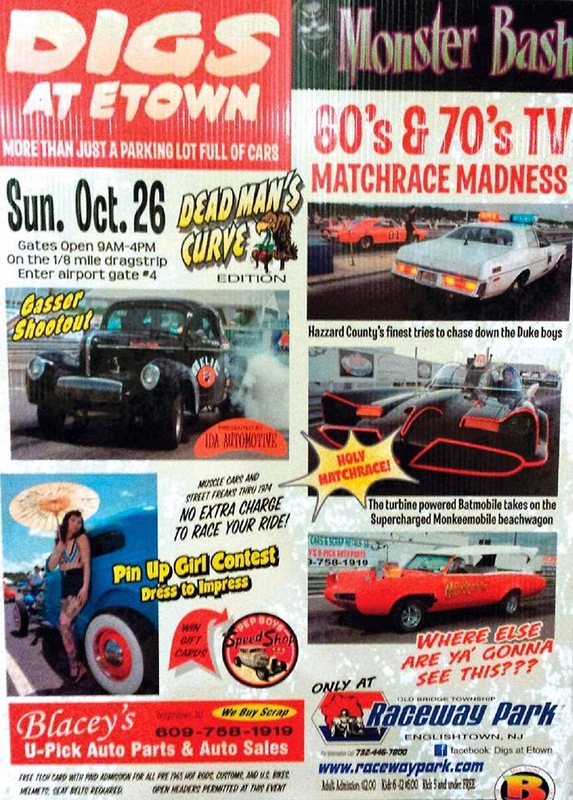 Just a quick post to share the awesome news that this Sunday, October 26th, at the RACEWAY PARK in Englishtown, New Jersey, there will be an ULTIMATE DRAG RACE between the 1966 Batman BATMOBILE and the 60's Monkees TV Show MONKEEMOBILE!! Yes, both of these amazing cars will be on hand and the event promises so much more! There will be many other car races going on other than the Batmobile one and more TV/Movie prop cars are scheduled to arrive. I heard that the Starsky and Hutch Torino Car will be there. It also looks like there will be another drag race between a Hazzard County Police Car and the General Lee from the Dukes of Hazzard! I even heard a rumor that the BLACK BEAUTY car from the 1960's GREEN HORNET TV Show will be there too! It looks like it's gonna be a great event and, did I mention, they will also have a "Pin-Up Girl" Contest! Oh yeah, MEOW!